ContinuitySA, Africa's leading provider of business continuity and resilience services, has launched an enhanced portfolio of services. 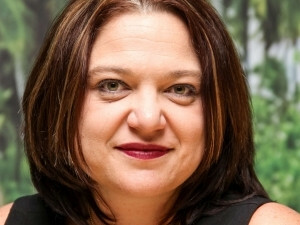 Cindy Bodenstein, Marketing Manager at ContinuitySA, says the new service portfolio is a response to the ongoing maturation of the market in Africa and takes full advantage of new technologies. "ContinuitySA has always stood for professional and technical excellence across the full life cycle of business continuity, from advisory right through to crisis communications and disaster response. However, new technology capabilities and models, specifically cloud computing and the 'as a service' model, have created new opportunities for us to deliver our services differently to our clients," says Bodenstein. "The underlying philosophy is to allow clients to tailor the solutions they need and have them delivered as fully managed services." The "as a service" model, she adds, removes much of the administrative and management burden for clients, as well as obviating the need for ongoing capital investment in equipment and facilities dedicated to business continuity and disaster recovery. * Advisory Services: Specialist consulting to enable clients to scope their risk properly and develop an appropriate business continuity, crisis-response and recovery plans that comply with the relevant ISO and Business Continuity Institute standards. * Technology Services: The latest technologies delivered from state-of-the-art data centres to reduce risk, build resilience and ensure quick recovery from any disaster, in line with the business continuity plan. Technology Services fall under Cloud (virtual server hosting, server recovery, backup as a service and disaster recovery as a service) and Communications (Internet, connectivity, network security and telephony). * Resilient Office Services: Bullet-proof office space at a ContinuitySA recovery centre to provide alternative office, call centre and treasury facilities when a client's usual premises are unavailable (work-area recovery services). This infrastructure is also now offered as primary office space on a turnkey basis (managed office space). Clients may also rent fully managed space in a ContinuitySA data centre for their own IT equipment (co-location). The managed office space service introduces a novel concept to the local market, says Bodenstein. "It essentially makes office accommodation, designed with the highest specifications, to act as the fail-safe backup available as the primary office location," she explains. "This is a smart way to reduce a company's risk dramatically at a very affordable price - and only have one bill to pay each month, and one single point of contact for facilities management, IT support and disaster recovery." For more information on these enhanced services, please visit http://www.continuitysa.com/services/. ContinuitySA is a Gold Partner of the Business Continuity Institute and the recipient of the BCI's 'Continuity and Resilience Provider Award' for the third consecutive year in 2016.